The Teddy Ball is a black tie charity celebration organized by Cruise 4 Kids, a non-profit organization. The Teddy Ball brings together San Diego's finest to create a collection of new stuffed Teddy Bears to donate to sick and needy children. Help us raise money & reach 1,500 Teddy Bears! The Teddy Ball is a black tie charity celebration held Thanksgiving weekend organized by Cruise 4 Kids, a non-profit organization. The Teddy Ball brings together San Diego's finest to create a collection of new stuffed Teddy Bears to donate to sick and needy children. Help us raise money & reach 1,500 Teddy Bears! The Teddy Ball 2018 Sizzle Reel by Krystal Productions. Meet "The Hosts" that help put it all together. 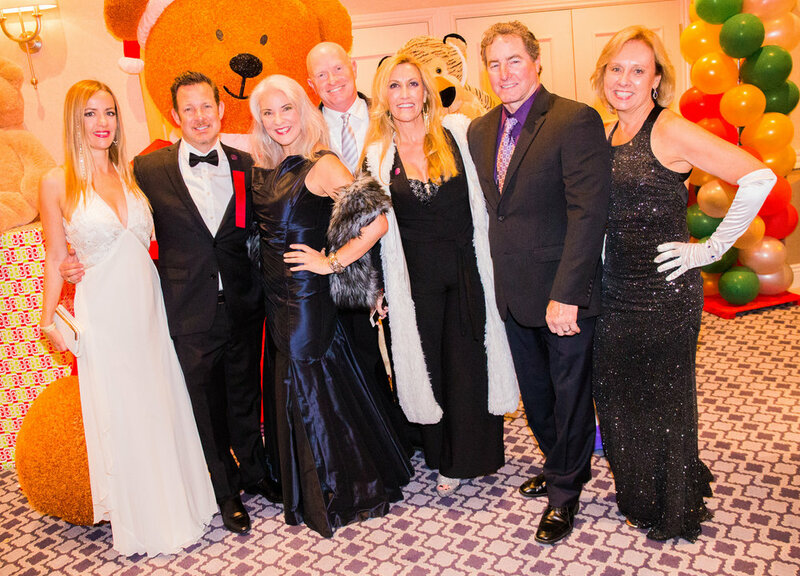 Thirteen of San Diego's industry leaders inviting their favorite people to The Teddy Ball. Guests will enjoy an evening of philanthropy, dancing, and creating the largest collection of Teddy Bears ever seen. Philanthropic individuals and businesses donating their time, resources, and finances to support Cruise 4 Kids passion to help others. Cruise 4 Kids partners with multiple youth organizations and foundations collecting teddy bears in time for the holidays. Find out more about these organizations. Town and Country San Diego, located in the heart of San Diego's Mission Valley, where nostalgic charm mixes with modern amenities to create one-of-a-kind experiences. From sparkling swimming pools and numerous dining options, to boutique-style guest rooms and well-equipped meeting spaces, our hotel in San Diego, CA delights in the best of everything to meet, swim, and stay.